If you would like to know the cost of shipping before you purchase, here is how to do it! 1. 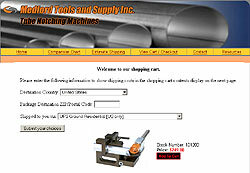 Browse Medford Tools for your tools or accessories. 2. Add the item to the shopping cart. 3. Enter your Zip Code and desired Shipping Method. 5. 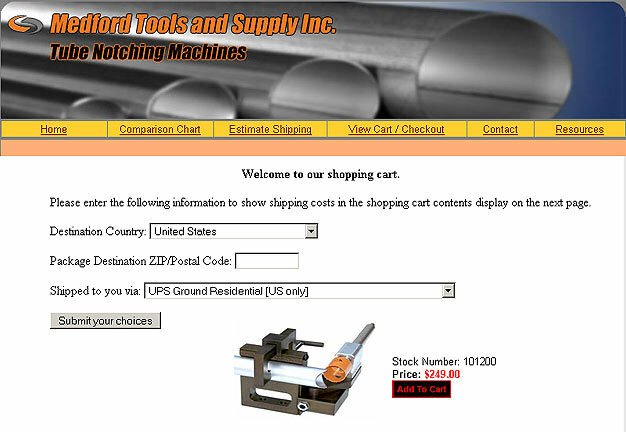 The total cost with shipping will be displayed! 6. If you are satisfied, click " Checkout Now" to complete your purchase.
.* Remember, Nothing is final until you decide to submit your order! Trademarks and/or copywriten pictures and texts of products we show on our pages are owned by the respective companies.